JGH! Hahaha kakatapos lang mabili yung ticket! Excited na ako for September~! Ano ano yung mga suot nyo kanina? Ako yung matangkad na naka-black shirt and nakasalamin. D-5 until LOL Showcase. Who's coming? and what have you got for the girls? [D-1] to L.O.L. Manila Showcase! 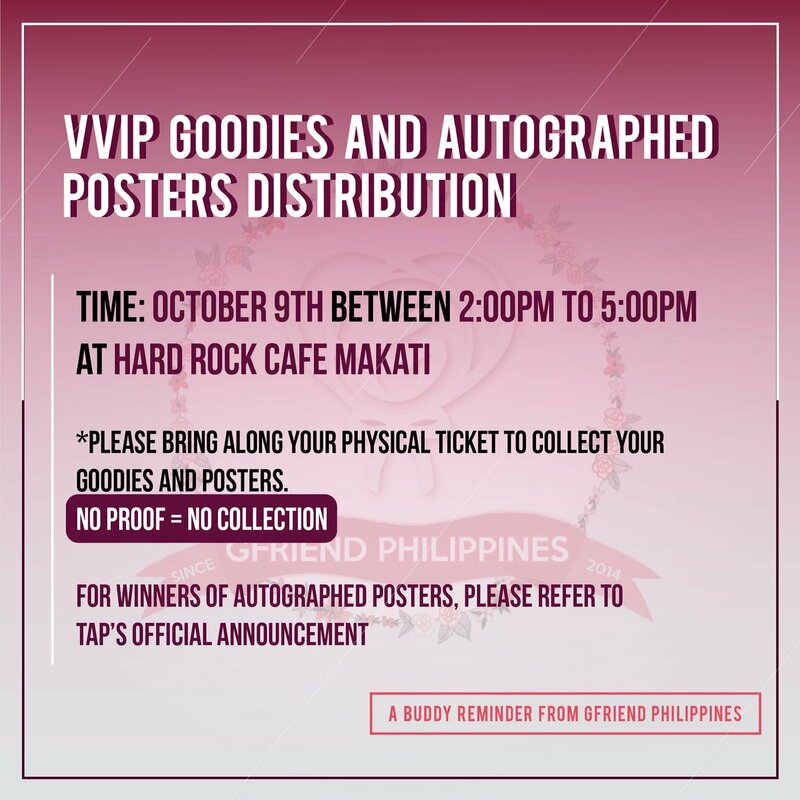 Sino mga pupunta this October 9 to claim the goodies? Let's meet up and kumain sa isang Korean resto! GFSquad PH meet up naman dyan! Notice for PH Buddies who have attended the showcase regarding the merchandise/freebies from TAP. For those who won't be able to do so on the said date and time, GFriend Philippines got you covered! So ayun, GFSquad (PH Chapter haha) GA na ba ito? Tara! Kaso wala pang nagcoconfirm tayong dalawa palang ata? Haha! Anyway, thanks dun sa mga nagclaim kahapon sa Hard Rock <3. 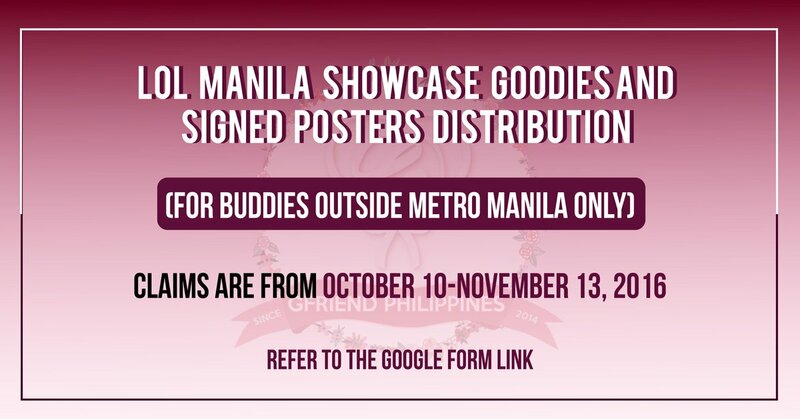 Para naman dun sa mga outside MANILA, please refer to the previous posts about the Goodie Distribution through Shipping. Pero hindi ako sure kasi na ikaw yun kaya di kita tinawag hahaha! Kailangan maset na talaga tong meet up e. Haha! Sila adib at haechi pinoy diba? Take note of the complete guidelines. Cheers!